2, If the leader due to personal factors (such as the wrong road, etc.) caused through failure, all costs borne by the organizers, the team members do not bear any costs. 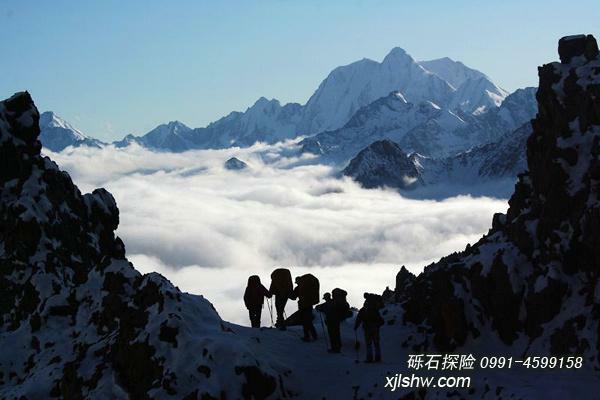 In 2003, Xinjiang famous mountain climber Tienan Wang, led the first Wolf tower expedition team after nine days, nine night trek, finally success through. The Wolf tower C line on human history, the special value of the natural ecology, mountaineering adventure, causing plenty people like to hike a lot of attention, so to wolf tower C Wolf expedition activity has begun… Somebody walking on this ancient road every year. When someone asked George Mallory “why you want to climbing?” He said that because the mountain is there… Why chose Wolf tower C line? Everyone walk on this road will ask themselves, but once you walk in this boundless between heaven and earth, and feel like one thousand years ago as icy as same river, as well as one thousand years ago in the ear skip wind… Heart will tell you that you choose to be here, same as the Wolf chose you, agreed the previous and this life! Early start at 8:00 AM,A t 12 ：00 we will reach the beginning of the hiking – BaiYanggou coal mining. Here is surrounded by mountains, in areas where plants are dense. Along BaiYang River Valley to the West. The valley gradually to show, the trees become difficult to find, here is called BaiYanggou down hill Kalamoyinake alpine pasture, Under daban mountain meadow can see clearly the ancient glacier retreat, also can see the tall moraine glacier movement uplift.Today we will walking about 8 hours distance nearly 20 kilometers, We encamped in BaiYanggou at the altitude around 2300 meters. Early start at 9:30 AM, to continue along the BaiYanggou, the day will rising 1000 meters above sea level. Set off two hours later, we will arrive in ice zone, the swell of glacier movement moraine stone like big steps in the road ahead. We bypassing the huge moraine, along the edge of the glacier, climb to the Daban. Today we will climbed over BaiYanggou daban, BaiYanggou daban actually is a snowy mountains,We starting from the mountain glaciers boulder to the top of the daban, vertical level is 600 meters. On foot for almost 4 hours we can reach an altitude of 3862 meters top of daban. Daban pass has marker_MANI pile.BaiYanggou Daban is north and south Tianshan drainage watershed, We climbed daban, officially into Wolf tower area. Today our camp at an altitude of 3400 meters, 8 ~ 9 hours hiking time throughout the day. gentle mountains, It is an untraversed region That is paradise for wild animals. Here are a few kazak herdsmen summer pasture, every summer this 3-4 family will grazing here . Along the the Etelanta river , We camp in Menggeteikaizeng Daban, 3400 meters above sea level. Today we’re going over 3950 meters above sea level of Menggeteikaizeng Daban, and 3767 meters Kalagayitekaizeng daban, down to the Haergatengguolegou. At this point, we leave Hui Autonomous Prefecture of Changji and into Mongolian Autonomous Prefecture of Bayingolin,boundary. Daban two side belong to different autonomous prefecture control, there is a big difference between religious beliefs and customs, Daban climate also differ on either side of the north and south, the north climate is more humid , Hejing county side climate is more dry . Camping in Haergatengguolegou. Rising 1000 meters above sea level, fell 900 meters. Early start at 9:30 AM, the day we along the Haergatengguole upstream to the source, over 3844 meters of Haergatengguole Daban, later falling 700 meters set up camp. The whole days rising 1000 meters above sea level throughout the day, fell 700 meters. The train arrived Urumqi, seven days and nights hiking finally finish. The terrifying road, the snow cover pass,the wind below…, the icy river, team collaboration with brotherly affection between members,it was an unforgettable experience though whole life. This tour will cost 8 days, 7 days on foot. This line has a part of the crosscut section , which need to have good psychological quality and good balance capacity. 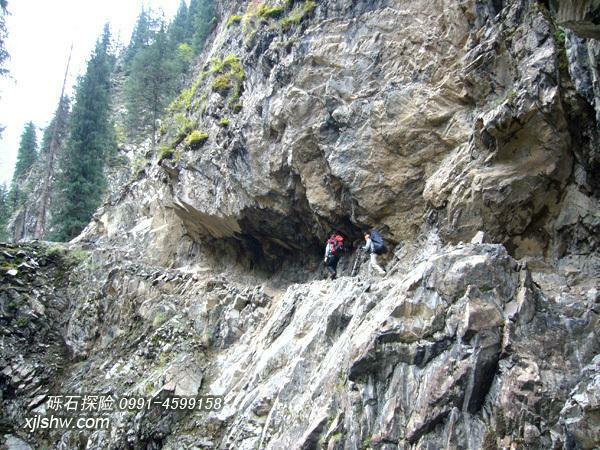 We will climb over 6 high mountains passes above 3500 meters, So the participants must have strong physical stamina. This activities suitable for age between 22 and 55 years old, outdoor sports enthusiasts. Applicants need to have go though some high difficulty or challenge line before, excellent health, no any acute or chronic disease, can take care of yourself, Whoever conceals his disease as a consequence of responsible for their own. 2, This tour have dangerous Everyone want to application before have to take full account of their own physical, health and personal equipment, then decide. 3, In outdoor activities, the team spirit is particularly important, we are particularly welcome someone have a spirit of mutual assistance. 1, Lishi explore Company already had the experience of 20 times successful across the line, we will never go to the wrong way, never take the team to the dangerous road. As long as all the members obey and respect the team leader’s arrangement on the route and time, we guarantee the security and reliability of this activity. Our guider has more than 20 times successful cross experience, we are safe, because of the professional! We are good, because we respect and reverence the nature.